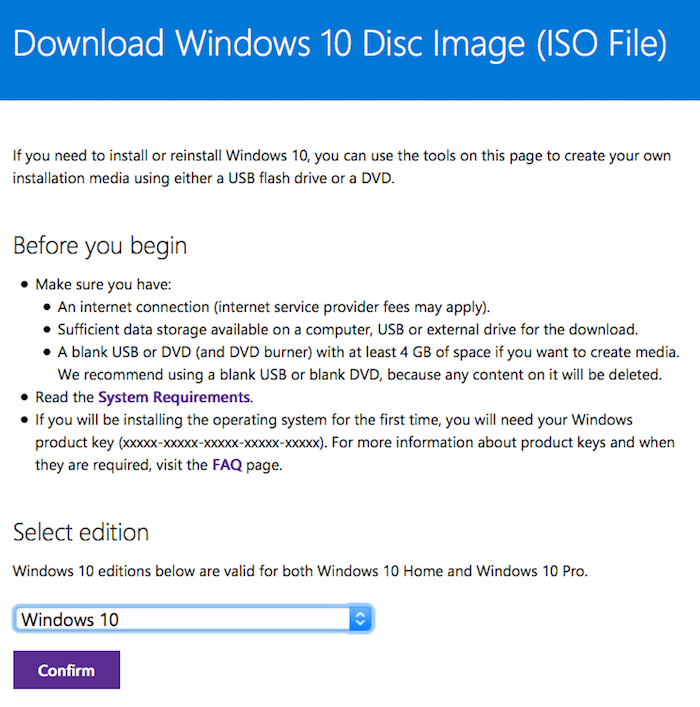 How do I get Windows 10 installation image? I have an active Windows 10 license, and I want to install Windows 10 in a Parallels virtual machine. I want to buy and install Windows 10 in a Parallels virtual machine. On the opened web page choose the required edition and click Confirm. 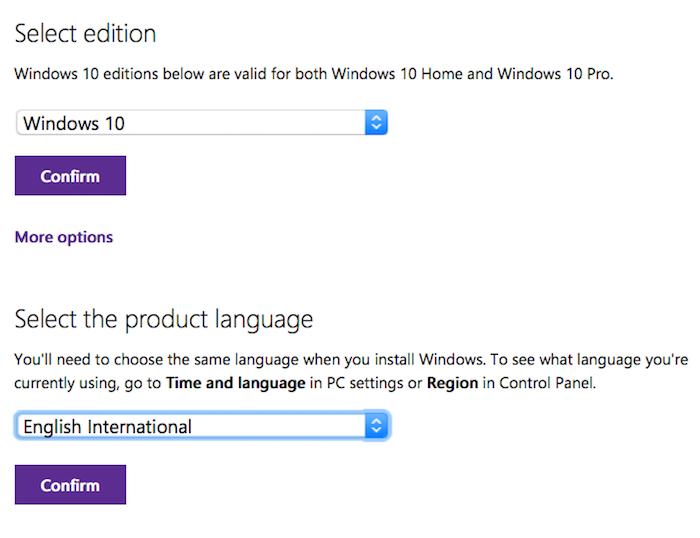 Choose the required system language and click Confirm. Your web browser will offer to save an installation image. Proceed with the image download. Once the image is downloaded, open Parallels Wizard (Parallels Desktop -> File -> New...). Select Install Windows or another OS... and click Continue. 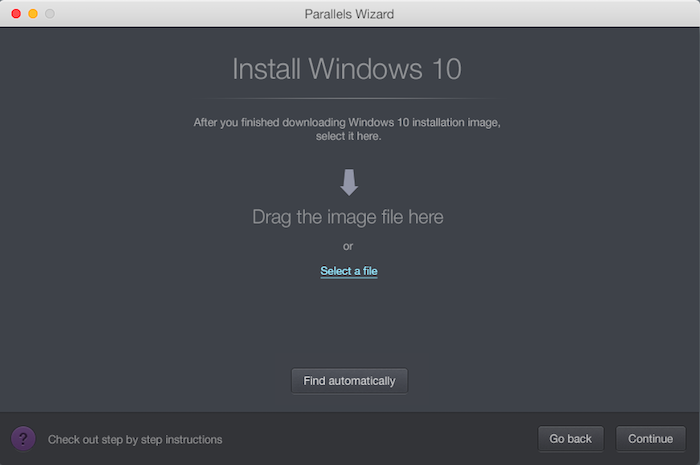 If installation image was not detected automatically, select or drop an image file to the Parallels Wizard window and click Continue to begin the installation. 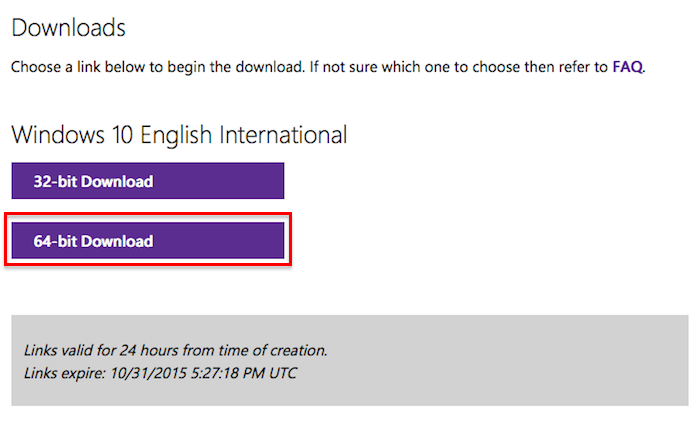 You can use the same installation image for a Windows 10 upgrade. Make sure you are running the latest version of either Windows 7 SP1 or Windows 8.1 Update. Visit this page to find out what version you are running. Make sure that your virtual machine has at least 2GB of RAM (KB 113649). When your virtual machine is in focus, go to Devices- > CD/DVD 1 -> locate and select the downloaded image. Open File Explorer in your Windows virtual machine, double-click on the CD/DVD drive, and follow the upgrade instructions. Note: We recommend you take a snapshot before proceeding with the upgrade, just to be on the safe side.